The ritual of boarding a train from small town America is almost as old as the nation itself. 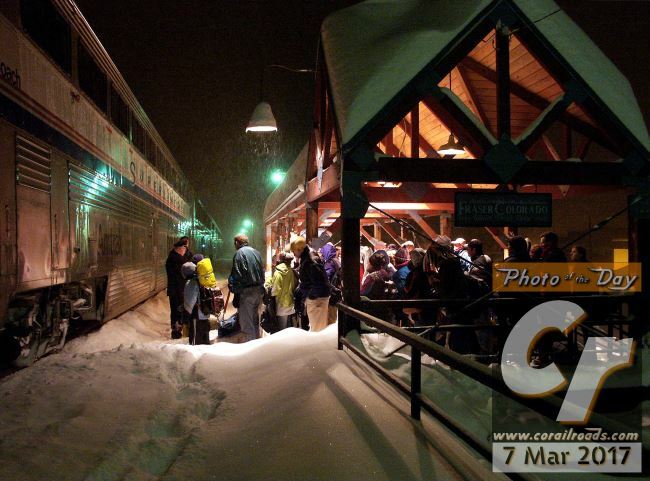 In Fraser, Colorado, passengers wait in the shelter along the platform on a snowy evening in March 2003 to board the nightly Amtrak number 6, commonly known as the eastbound California Zephyr. Their next stop will be hours deeper into the night and 3,386 feet lower when they pull into Denver's Union Station before the thousand mile journey across the plains to Chicago.